Generally, as a writer, I'm not very controversial. I write about things that don't exist, so I can pretty much say whatever I want about them. 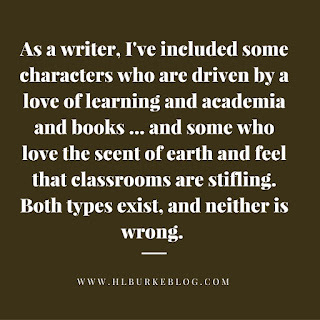 I write in Fantasy worlds, so I can choose which of "our world's" problems to bring into them, and most of the time, I'd rather leave the controversial ones behind because I don't consider myself someone who has answers to them. I write escapist fantasy. But I did make a subtle stand at the end of Cora and the Nurse Dragon that most readers didn't notice, but at least one reviewer called me out on, in the end Cora determines that college isn't for her and chooses to forge her own path. One reviewer felt this was a bad message that would encourage kids not to pursue a better life. But that message was totally intentional. I honestly don't believe college is the only path to a "better life." I don't plan to pressure my kids towards degrees. I really don't plan to encourage them to go into debt to get them. I don't have a degree, and I've been able to find what I consider to be success in life. To start with, as mentioned above, I don't have a degree. I did spend about a year in community college, kind of fumbling around, getting good grades but only taking selective classes because I was bored with it and I only wanted to take classes I could assign "value" to (Like I took Spanish because I really believe speaking a second language would help me. Some office orientated computer classes because I thought they'd make me more employable, and writing because I wanted to be a writer). And honestly, if I could trade the time spent in college for the savings that I depleted paying for books and courses, I'd do it in a heart beat. I feel like I did what courses I did because of pressure from well-meaning people who thought it was be "good" for me, but that was one of the most miserable periods of my life. I felt lost and directionless. I felt like what I wanted was "wrong" but that I'd never be happy if I pursued what other people wanted for me (the relatives/friends who thought I'd be a good nurse or a great teacher or just felt that I needed a degree if I wanted to amount to anything). And for a while, as a writer, I kind of hid the fact that I didn't finish college because I think as a society we've come to assign a ridiculous amount of value to it. Enough value that it's worth going into crazy amounts of debt and shaming people who don't pursue the same goals. People told me I needed the degree to get a good job, but the only job I'd ever really dreamed of (being a fiction writer) didn't have a "yes, if you get this degree you are guaranteed a publishing contract" path, and to me, the cost of a degree was too much of a gamble. People told me that it was about the experience, but the experience they described always seemed to be about partying and drinking which have never been my thing. When I ran out of savings and scholarships (I still wish I had those savings back. ), I told my mom and dad I was going to work for a bit instead. I found out I really liked working. I've always been a little competitive and good at figuring out "systems," so being a good employee was second nature to me. After a bit in a food services job, my family got worried again because I would soon age out of their health insurance. I said, "Okay, I'll get a job with health insurance then." So I did. Again, I was good at this job too. I made enough that, if I'd been smart about it and lived reasonably, I probably could've lived off of it (at this point I was 20 and still living at home), and I'd still write in my spare time. I read a LOT. Like on my break I'd walk either down to the local bookstores or up to the library and get a book and read it. I still didn't feel I was doing something I could do for the rest of my life. It was still a place holder job. Then came Matt. Then came marriage. Then came kids. Then came a day I realized that I could self-publish. I'm a learn by doer. I taught myself formatting. I learned editing tricks. I learned everything I could about improving my craft, and now I'm doing what I love and making decent money at it. My college experience ... I still look back on it as a depressing waste of time I really wish I could somehow refund. Now my experience isn't everyone's, obviously. Some people loved college. Some people pursued careers that would only be available to them if they had college under their belt (anything in medicine, engineering, certain financing and business degrees), but if you don't know what you want to be, I don't think college is a magic cure all for lack of direction. And college isn't the only way to success. There's a skilled labor shortage. We need more people who can work with their hands. In this internet age, there are a lot of options for people who are creative to pursue goals online, from selling art to making videos. Some trades offer apprenticeships and on the job training. Yes, most of the best paying jobs are college educated jobs ... but why is "best paying" the main measurement of value or success? What about happiness? And in observing my generation and the generation immediately following, college education isn't really what separates those who are doing well from those who are struggling. In fact, a lot of them are struggling because of their college debt while working jobs that the average high school graduate is decently qualified for. So yeah, I'm making a stand that if you are a young person trying to decide what to do with your life, it's okay not to do college. Work with your hands. Learn about the real world. Find out what you value. Don't try to please people or make your guidance counselor happy. 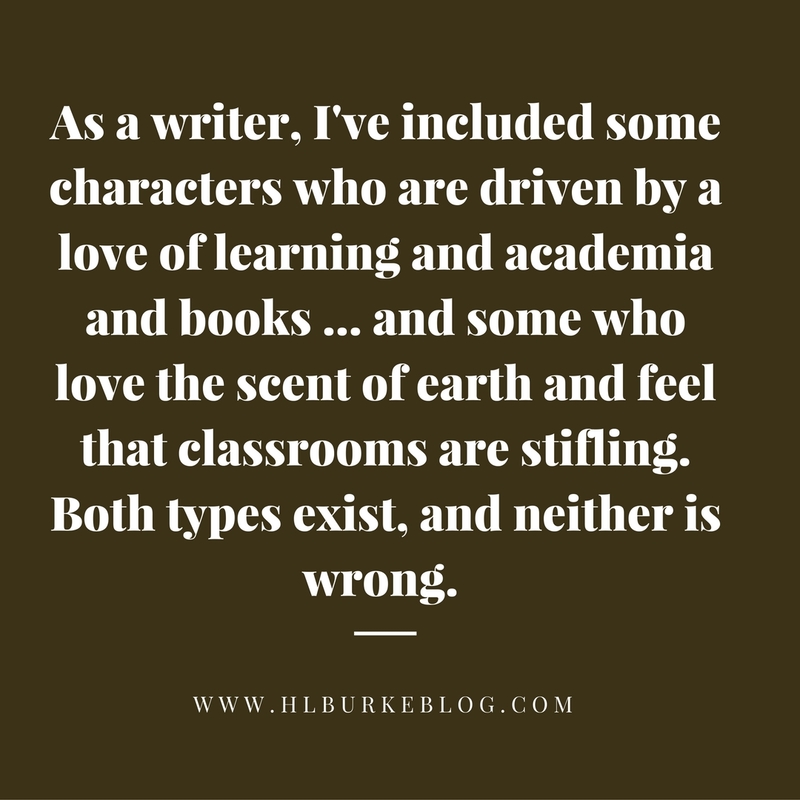 As a writer, I've included some characters who are driven by a love of learning and academia and books ... and some who love the scent of earth and feel that classrooms are stifling. Both types exist, and neither is wrong. I noticed this message at the end of CORA and I thought it offered a positive alternative for kids who aren't fond of school. There are many classrooms in life and the best ones aren't inside a building with "school" or "college" or "university" on its side. As an educator (used to be full-time and now substitute) I feel the pressure for every kid to attend college is ridiculous. The emphasis should always be on helping students discover their strengths, talents, dreams and true ambitions. Hurray for you and your life decisions. I am quite glad you took the plunge into self-publishing. Yeah, and we will always need people who know how to work with their hands ... until we all become batteries for our robot overlords I guess. This really resonates with me. I went to college to study digital design. I still use a lot of those principles in building book covers, so it wasn't a complete waste, but yeah. I learned way more by working. My parents had this idea that college should be a tool, not this marker of achievement. College used to be that way, but not any more. Thank goodness for trade schools. My kids can choose whatever they want to do, but we're going to stay far away from the blasted student loans. They're crippling our economy and I don't want that millstone around my kids' necks. I always get bored in classes. I learn much better just by doing stuff than by taking tests and listening to people talk about things. I really enjoyed this post. I think college is something that can be good... and perhaps even not just for the education (I went to a Christian college, so no drinking or "partying" though we did have a lot of fun and managed not to accrue any loans, praise the Lord). I enjoyed being a teacher for a few years afterwards and would never have met my husband if I hadn't gone to college... but my sister opted out after a year and is pursuing her musical career and doing quite well at it without any need of a degree. It's definitely not worth starting out life on your own up to your eyeballs in debt, that's for sure. Christmas is Coming: Goodreads Giveaway!